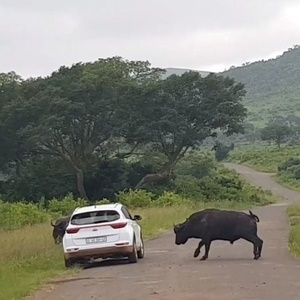 Road rage can get the better of most of us, and in South Africa even our animals can see red on the roads through game reserves and national parks. In one particular incident however, a buffalo took matters into his own... horns... when a car tried to push itself past it. 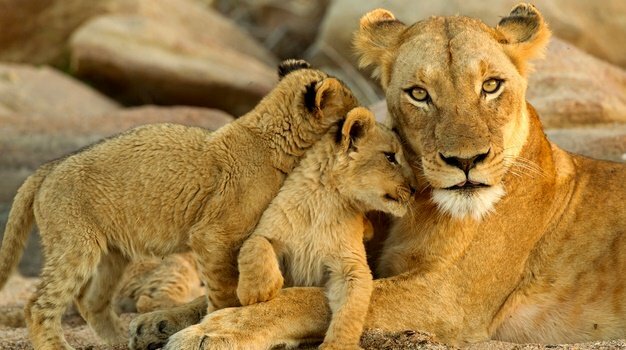 The video shared by Greatstock was filmed by Vicky Schmidt from Luxembourg while travelling through South Africa on a three-week trip. “The two guides who were driving the truck, stopped immediately when they saw the buffaloes on the street. Luckily, they always had a good feeling for the mood of the wild animals and we always observed them at a safe distance. The guides parked the truck across the street so we could perfectly observe the buffaloes walking on the street”, says Schmidt. “The family in the car tried to run the buffaloes off the road, so they could pass with their car. As you can see on the video, they weren’t interested in the buffaloes but were taking pictures of an elephant which was a long way off. They didn’t respect the buffaloes and this is what I told my boyfriend during taking the video”.